These videos and narrated powerpoints can help you learn how to safely preserve food or add interest to your teaching. You can find many video resources online, but for safe preserving be sure to follow trusted resources from the UW Extension program. FREE Canner Gauge Testing Available This is the season for canning fruits and vegetables. Dial gauges should be tested every year to make sure they are accurate and at the right pound of pressure. The Kewaunee County UW-Extension office will test dial gauges at no charge anytime of the year. To make an appointment, call (920) 388-7141 to set up a time to have your canner cover tested. Office hours are Monday – Friday from 8 a.m. – 4:30 p.m. 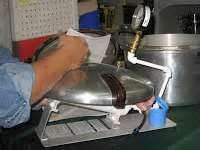 Dial Gauge Pressure Canner Testing Dial gauge pressure canners should be tested each year for accuracy. 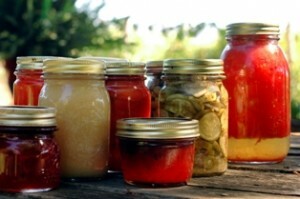 A pressure canner is essential for canning low-acid vegetables, meats, fish and poultry. Pressure canners come with either a dial-gauge or a weighted-gauge. The Kewaunee County UW-Extension office offers free dial-gauge testing; call 388-7135 to arrange a time for this service.